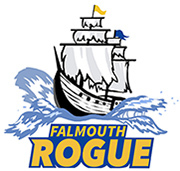 Heads up Falmouth girls! Maine Ultimate is hosting a very cool ultimate clinic for girls of all playing experience this Sunday, October 22 from 10:45 AM -12:45 PM at the Wainwright Sports Complex in South Portland. This FREE event is designed to teach girls how to play ultimate- from throwing and catching all the way through playing a full game of ultimate. Each participant will receive a free disc and lunch from one of Maine Ultimate’s food truck partners. And experienced players who bring along new friends will get an extra free jersey for helping spread the ultimate word! You can register for the GUM clinic here over at Maine Ultimate.